made from natural components (100% cotton*). who makes the dyeing we ask. and authenticity. It is the best guarantee of quality. Our French shoelaces are resistant and respectful of our environment. 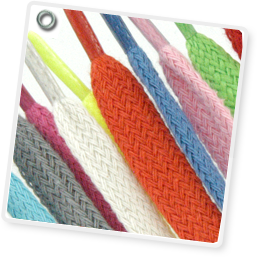 It is a real challenge to share with you a wide range of carefully wrapped colored shoelaces. * Neon shoelaces are synthetics and cannot be dyed on cotton.